The exclusion zone is full of wild animals. The human presence being banned, the area, spanning Ukraine and Belarus, became a sanctuary for animals. 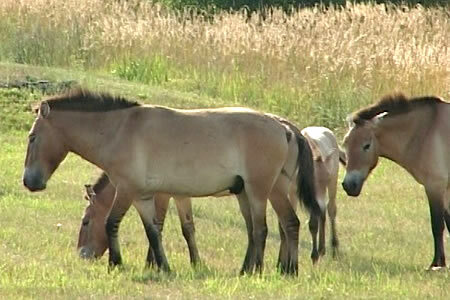 It is used for the resettlement programs of endangered species, like the Mongolian wild horse, the Przewalski horses.